Wisconsin linebacker Ryan Connelly won’t be available for the Badgers when they take on Miami on December 27 in the Pinstripe Bowl in New York City. Badger coach Paul Chryst revealed on Friday that Connelly underwent a procedure for an injury that he played through during the final month of the season. Chryst didn’t provide any details regarding Connelly’s injury. Chryst said Connelly’s absence from the Pinstripe Bowl was not due to protecting his professional future. Connelly could be selected in the upcoming 2019 NFL Draft. Junior Chris Orr, who has started 15 games in his career, is expected to step in to the starting lineup for Connelly. The senior recorded 89 tackles this season and was named a semifinalist of the Butkus Award. Connelly also earned third-team All-Big Ten honors from the conference’s coaches. T.J. Edwards (File Photo by David Stluka). The Wisconsin football team will get its top linebacker back in 2018. Inside linebacker T.J. Edwards announced Tuesday that he is returning to UW for his senior season. Edwards recorded six tackles in UW’s 34-24 win over Miami in the Orange Bowl, helping the Badgers finish 13-1 on the season. Edwards received a return to college grade from the NFL’s Advisory Board, but he said he wouldn’t make a decision on his future until after the bowl game. 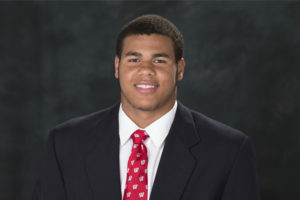 Edwards led the Badgers in tackles in both 2015 and 2016 and finished second on the team this past season with 81, seven behind Ryan Connelly. His return means the Badgers top three inside linebackers will be back in 2018 with Edwards joined by Connelly and Chris Orr. Edwards also tied for the team lead in interceptions with four. Wisconsin Defensive Coordinator Jim Leonard said before the bowl game that Edwards was ready to make the jump to the NFL, but could still develop as a player if he returned. Ryan Connelly stepped into the Wisconsin starting lineup in place of the injured Jack Cichy and the sophomore didn’t skip a beat. Connelly logged a career-high 11 tackles and finished with two tackles for loss and a pair of pass breakups. For his efforts, Connelly today was named the Big Ten’s co-Defensive Player of the Week. 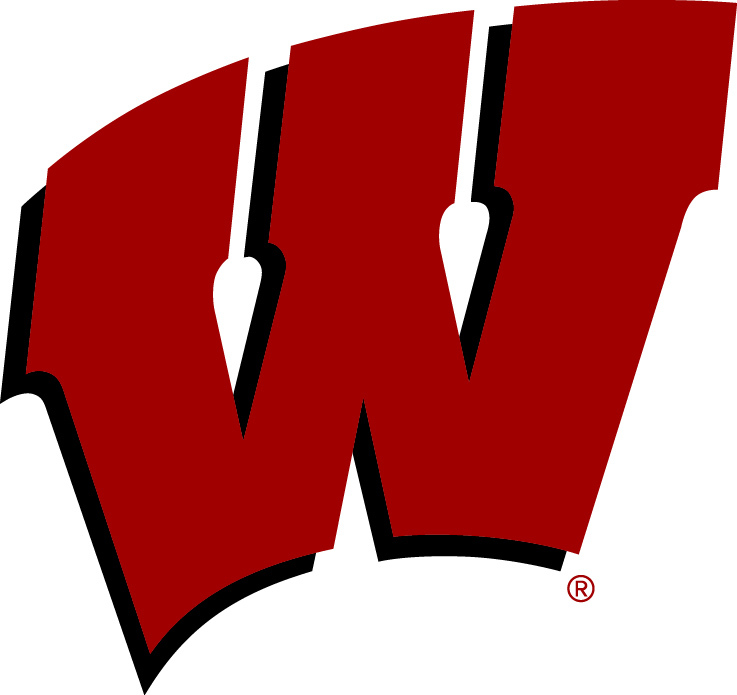 Connellly made crucial tackles on back-to-back plays in the fourth quarter, then made another big stop in overtime to help the Badgers knock off the Nebraska Cornhuskers 23-17 in overtime. The Badgers are playing without two dominant inside linebackers, Jack Cichy and Chris Orr, both of whom are out with season-ending injuries. But Wisconsin has still managed to dominate defensively. The Badgers rank number-three in the FBS in scoring defense, allowing just 14.6 points per game. They’re ninth in total defense, allowing 301.1 yards a game. 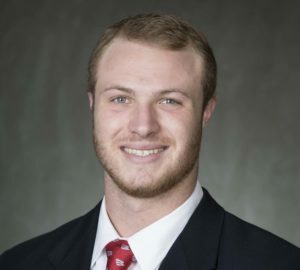 The 11th-ranked Wisconsin Badgers play their first game without linebacker and leading tackler Jack Cichy on Saturday night when they host seventh-ranked Nebraska at Camp Randall Stadium (7 p.m. kickoff). Cichy suffered a season ending injury in the win at Iowa last week, suffering a pectoral injury. 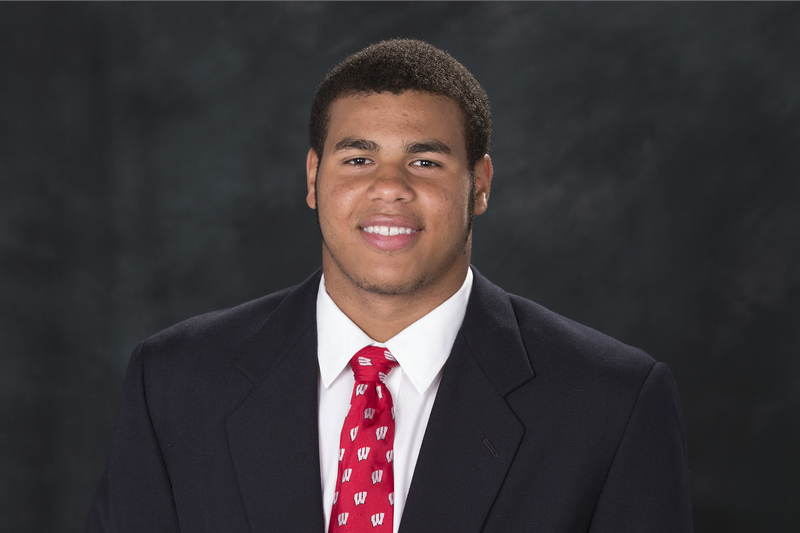 He leads Wisconsin with 60 tackles and is second in tackles for loss with 7 1/2. 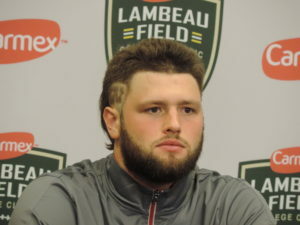 With Cichy out, the Badgers will turn to Ryan Connelly and/or Leon Jacobs to help fill the void. Starter T.J. Edwards will also be counted on heavily to anchor the middle. He enters the game second in tackles with 44, after missing the opener against LSU while recovering from a broken foot. With the 8th-ranked Wisconsin getting ready to face the 4th-ranked Michigan, the Badgers found out they’ve lost two players within a 24-hour period. Placekicker Rafael Gaglianone missed last week’s game at Michigan State with a back injury. He had surgery on his back this week, which ended his season. Less than 24-hours later, senior outside linebacker Vince Biegel underwent surgery on his broken foot and will be lost for at least two to four weeks. Biegel was a third-team all-Big Ten selection last season and was off to a good start this season. Wisconsin defensive coordinator Justin Wilcox will have to find a replacement for Biegel. One of the more likely moves would be shifting Jack Cichy from inside linebacker into Biegel’s outside position and move redshirt sophomore Ryan Connelly into Cichy’s spot on the inside. Gaglianone had hit 7 of 8 field-goal attempts in the first three games before missing last week.